We are a full service central Arkansas auto repair center that specializes in repair of CV, axles, hubs and bearings, timing belts, pulleys and tensioners, engine performance, tune-ups, coils, sparks plugs, wires, etc.., cooling system: radiator, water pumps, hoses, intake gaskets, radiator fans, t-stats, front end and suspension problems; struts and shocks, fix front end noises and/or loose steering, ball joints, tie-rod ends, rack and pinion, steering gear, pitman arm, idler arm, complete brakes: disc brake pads, rotors etc., electrical repairs: lighting, blower motors & switches, alternators, batteries and starters, etc., drive line: u-joints, axels, differential repairs, fuel injection diagnostic and repairs, computer diagnostics, and under car services. 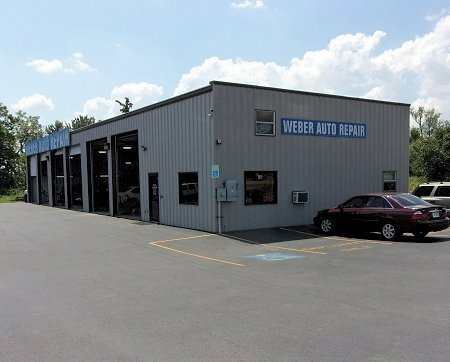 Weber Automotive offers the best auto repair service and customer partnership you can find in Central Arkansas. We give you our best service. If you have a problem with your vehicle, computerized or mechanical, we have modern training and technology to fix your car right the first time. If your vehicle cannot be repaired we will not charge you. Free basic consultation and estimation for vehicles dropped off. You will speak with the Technician that is working on your vehicle. All work and service is performed at reasonable prices with a one year warranty.